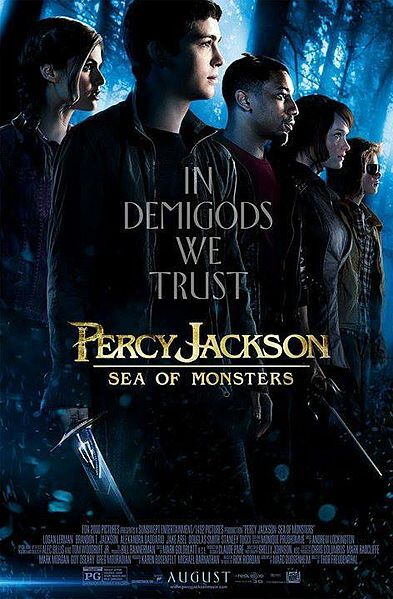 Percy Jackson: Sea of Monsters is the second in the film series based on the novels by Rick Riordan. An honest attempt here is being made to capitalize on the success of the Harry Potter franchise in all of its forms but the difference here is that half-bloods and demigods are less appealing than Quidditch and Horcrux to the all ages crowd. An advantage of being able to dip into the well of Greek mythology retelling the journey of Jason and the Argonauts in a modern setting is that the story is written for you. A disadvantage is being subjected to some cheap gags and some expensive but even cheaper CGI monsters. One can give this a mostly positive review as a straight up kid’s movie (which it is), but bottling and stealing the Potter lightning falls short on making this a movie that parents and other adults wouldn’t be able to stop rolling their Cyclopian eye over. This year’s sequel to the Chris Columbus directed Percy Jackson & the Olympians: The Lightning Thief loses a sense of scale and all of the star appeal of the cameos in the first film.